London house producer and DJ, Dephlex, is making a name for himself with his own take on bass centric music. Garnering support from across the board including Radio One plays from Danny Howard and collaborating with some of the best new names in the industry, 2016 has seen him drop records on Kolombo's LouLou Records and Clueless Music. He also has forthcoming track on Tough Love's Get Twisted and is playing at the Clueless Sessions as part of ADE this year alongside Kenny Dope, Mr.V and Man Without a Clue. Teaming up with good friend and talented sound designer, Shervin Shaeri, Abdullah Flex was formed in 2008, a dubstep band in which Dephlex provided live vocals. Their dub heavy debut, "Tell Me" was published by EMI for the Beaterblocker compilation and was described by Wired magazine as "elephantine." 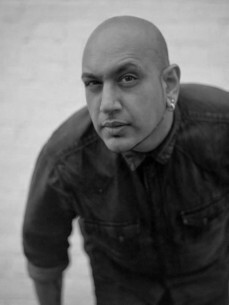 "Tell Me" featured on Mary Anne Hobbs Radio 1 show and tracks like "Skankout Flex," "Knite Rydar" and their bootleg of "Beat It" were supported by Bobby Friction and Nerm on BBC Asian Network and 1Xtra. Radio interviews and live performances followed as well as featuring as "Friction Introducing" artists. Around this time Dephlex was also a frequent collaborator of Ray Foxx, and their track "Touch" was championed on Radio 1 by Ras Kwame who was "loving the sonics." Dephlex also co-produced and vocalled "Butterflies" which was remixed by Garage legend Wookie and was released on Defected Records in 2012. Growing up with family members who DJ'd everything from Funk and Disco to Drum and Bass, Dephlex's production style was set from a very young age. The first musical instrument he played aside from the obligatory recorder was the Double Bass, which soon gave way to the Bass Guitar and playing in a band. Cultivating an eclectic taste in music and re-discovering his love for house soon led to playing DJ sets around London, and also a burgeoning interest in production. With his love for writing vocals that meshed with his production style Dephlex was finally able to bring all his influences together and identify with all the great music being created. This led to a residency at Proud Camden, where he got the dancefloor heaving to a trademark mix of jacking beats, dirty basslines and vocal hooks. August 2014 saw the release of Dephlex's first E.P. "All Night" on Faite Leur Des Disques, which featured a stonking Disco rework by The Jiggler and was supported by Vanilla Ace and Teenage Mutants. Dephlex went on to collaborate with Alias Rhythm on "What U Give," which was signed to Seamless Recordings and released in September 2014. This was followed by Dephlex's remix of Yotto's "All I Want" in October, which saw BBC Radio 1 airplay. 2015 saw the release of the "Show Me Love" EP on So Sure Music and a busy year in the studio. 2016 has been a landmark year for Dephlex with support from Tough Love on his Clueless Music release "The Beat," which was also featured on the DMC World Magazine Buzz chart two weeks in a row, and a great response to his LouLou debut "Hot Damn!" Dephlex's studio has seen a lot of use as well, busy with collaborations with S.Chu and Man Without a Clue and working with brilliant singer/songwriter Rachel K. Collier, as well new original material of his own.